For someone as obsessed with Sonic Youth as myself, I was uncharacteristically hesitant about going to his show at ONCE in Somerville last week. His latest album, Electric Trim, just hasn't been working for me. It's being billed as his Beatles influenced album, and while I hear that influence, I'm also hearing far too much jam band in it for my taste. Plus, members of Sonic Youth typically focus on their newer work than their older work, so there was little chance of him busting out any of my favorites from the Sonic Youth days. There might not have been a performance of "Cinderella's Big Score" that night, but the songs from Electric Trim worked much better in a live setting than on the album. Ranaldo was armed exclusively with acoustic guitars, and had a bare bones line up of a drummer and a keyboard/electric guitar player. The most interesting part of the evening is that the typical noisy guitar solos were played by Raul Fernandez and not Ranaldo. 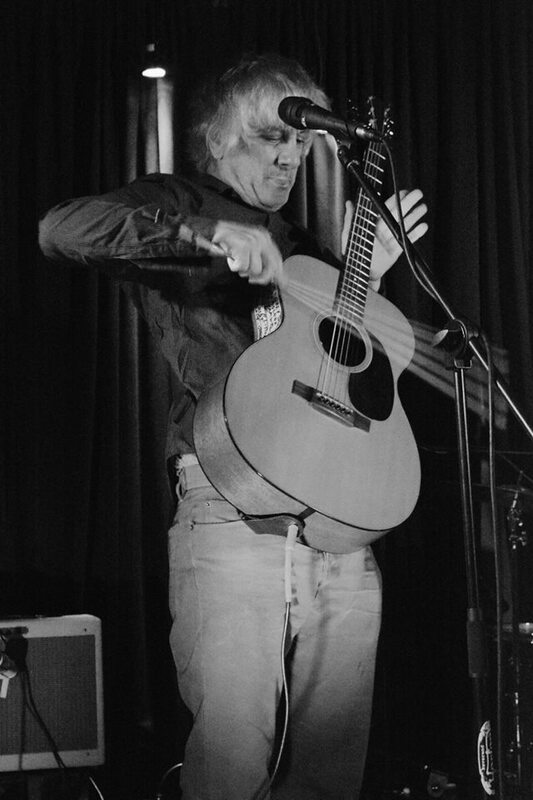 It's not the type of thing I expected with a Lee Ranaldo solo show, but it, like most of the night, somehow worked. 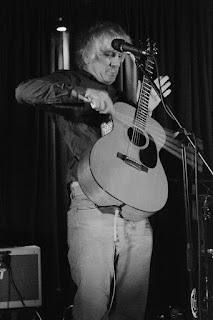 acoustically, he was still playing it like Lee Ranaldo. 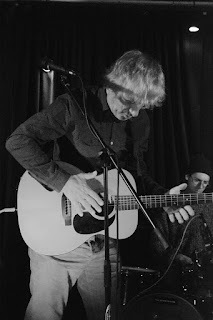 Instead of just strumming and singing, he played his guitar with a bow, bells, by knocking on the wood, and just like a member of Sonic Youth playing acoustically. Virtually the entire set came from Electric Trim, with highlights being "Moroccan Mountains" and "Uncle Skeleton." In fact, the only song I don't believe was on Electric Trim was a cover of The Velvet Underground's "Ocean." Plus, to answer an audience member's question (it was a lightly enough attended show to make interacting with Lee feel comfortable, but those of us who were there were more than appreciative), he told a story of Sonic Youth's only acoustic set at Neil Young's Bridge School benefit concert in 1991. The evening might not be exactly what you expect from a former member of Sonic Youth, but it's always refreshing to hear an artist change things up a bit. Plus, it was a great enough experience to make me want to revisit an album I had already written off as not for me. That's a rare, and special, thing.